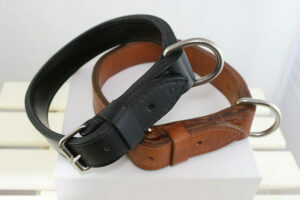 As efficient as a metal choke dog collar but much more comfortable. 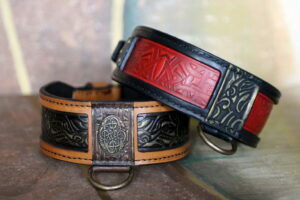 Available in various sizes and colors. 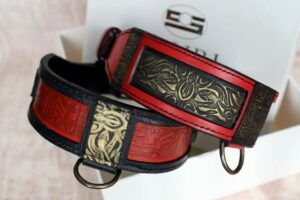 Choke dog collars are primarily designed for dog training and are used when we want to teach our dog to walk on a leash. 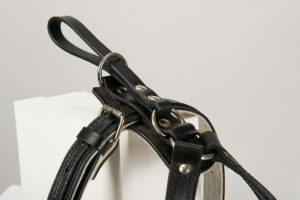 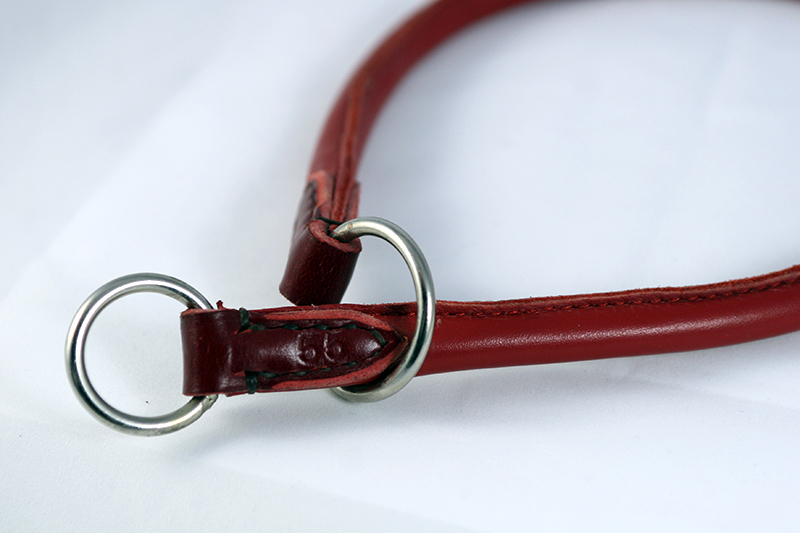 Most usually choke collars are made of metal chain which tightened around the dog’s neck when pulled. 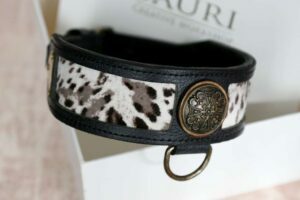 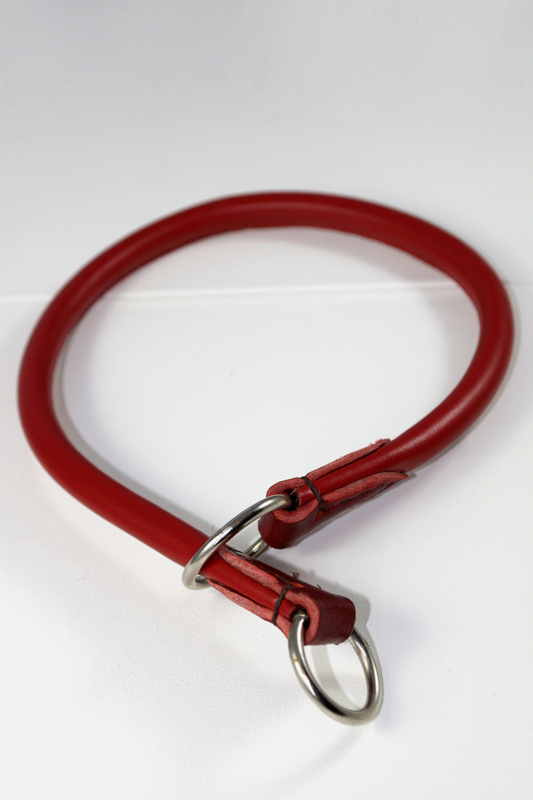 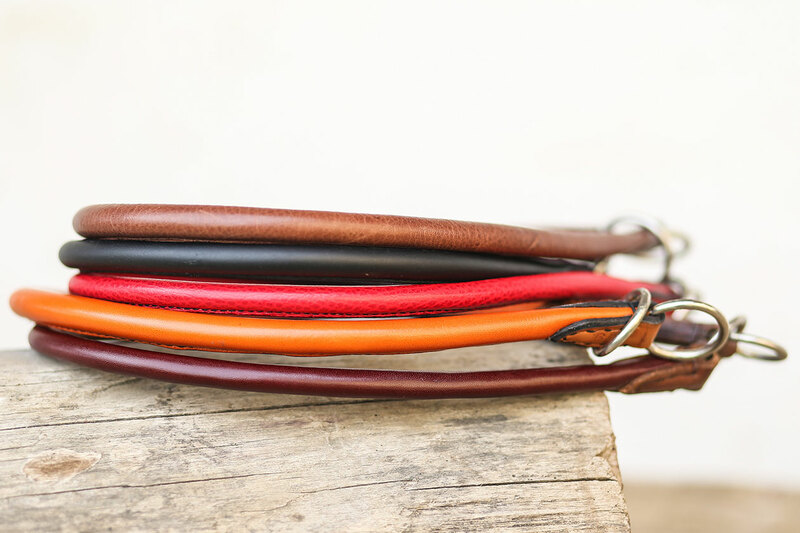 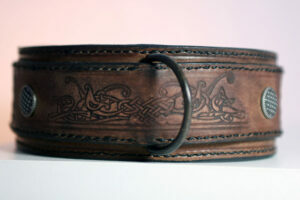 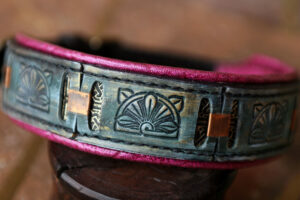 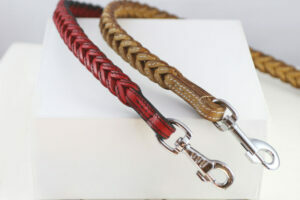 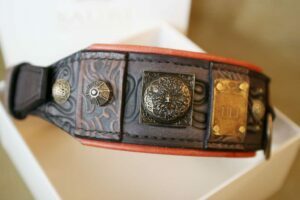 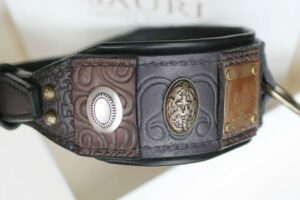 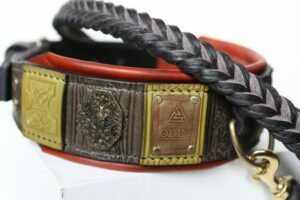 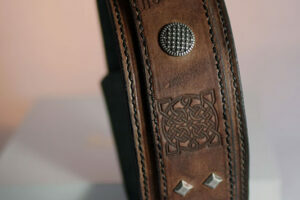 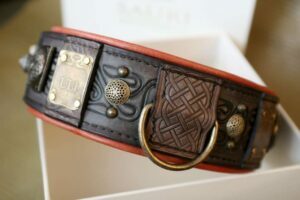 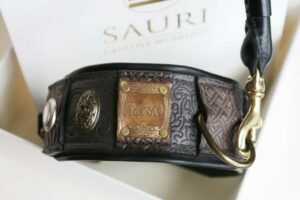 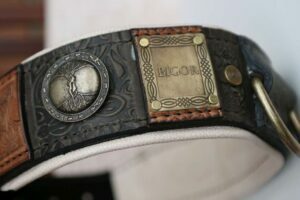 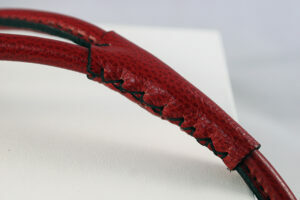 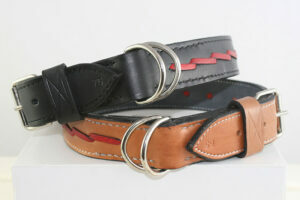 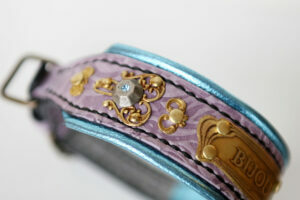 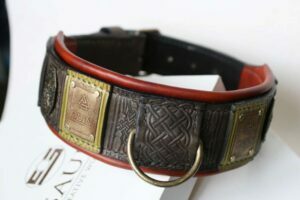 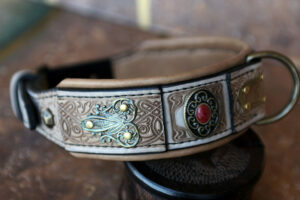 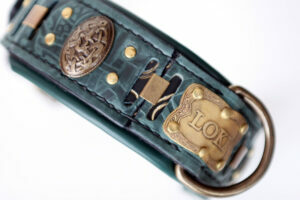 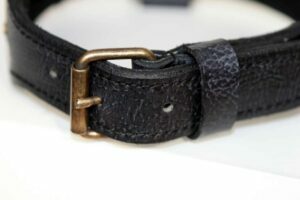 In Sauri Workshop we make leather choke dog collars with round edges in a variety of colors and lengths. 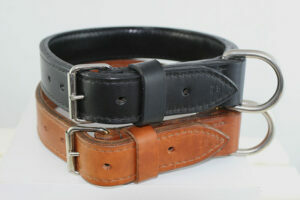 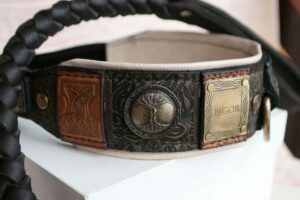 As efficient as a metal choke dog collar but much more comfortable to wear. 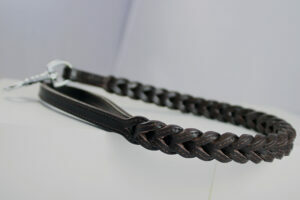 We make all sizes – for small to giant dog breeds. 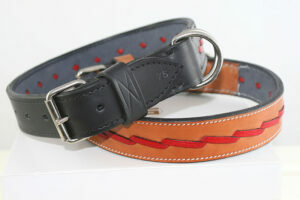 For better fit all you need is to measure your dog’s neck and let us know! 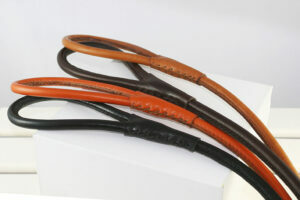 Contact us should you need any further information about this product.